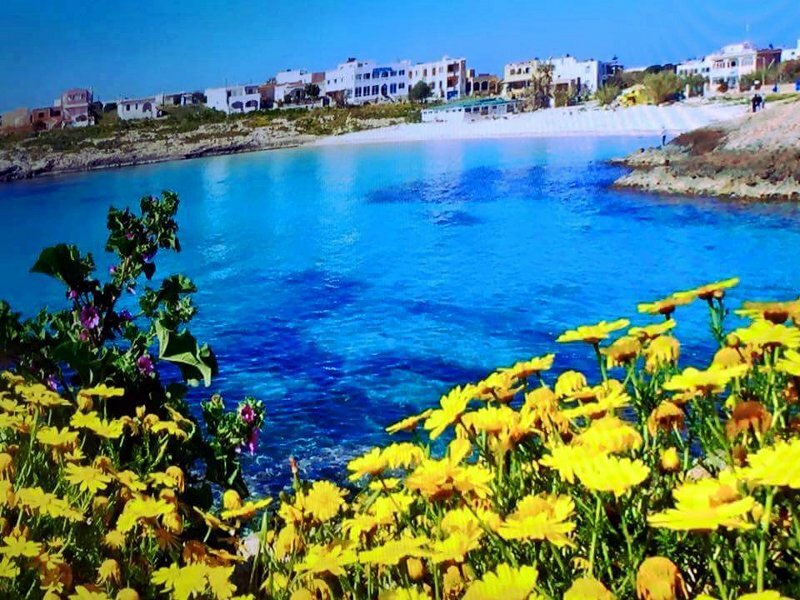 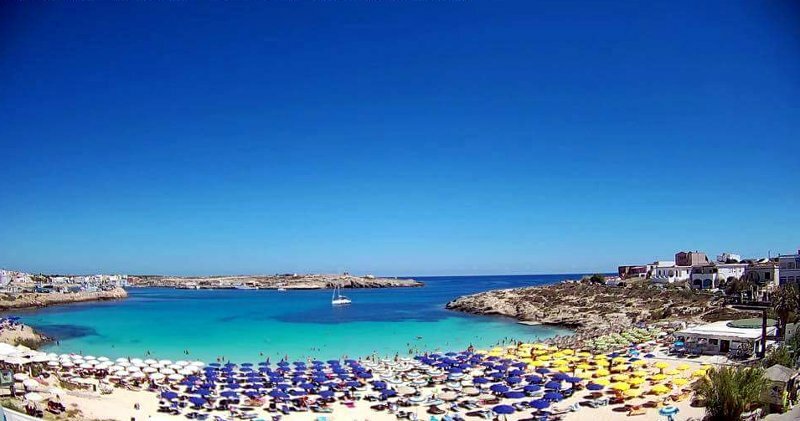 Lampedusa: a heavenly place in the heart of the Mediterranean, just a stone’s throw away from Africa. 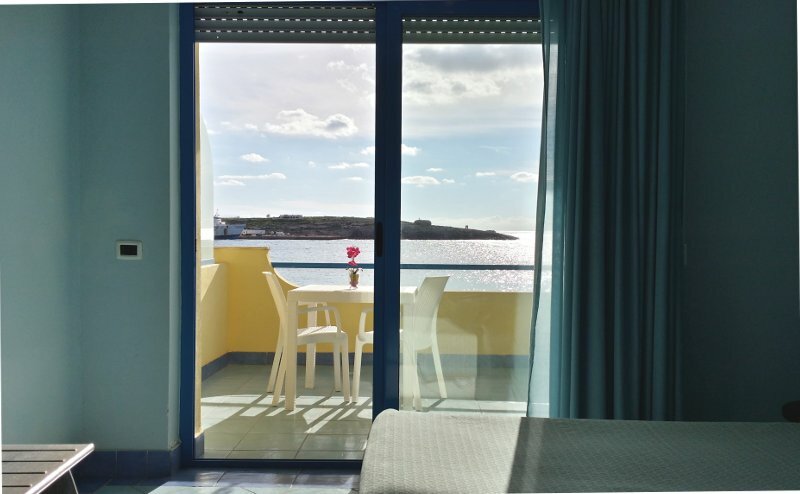 The Hotel Baia Turchese boasts a fantastic location on this special and unique Mediterranean island. 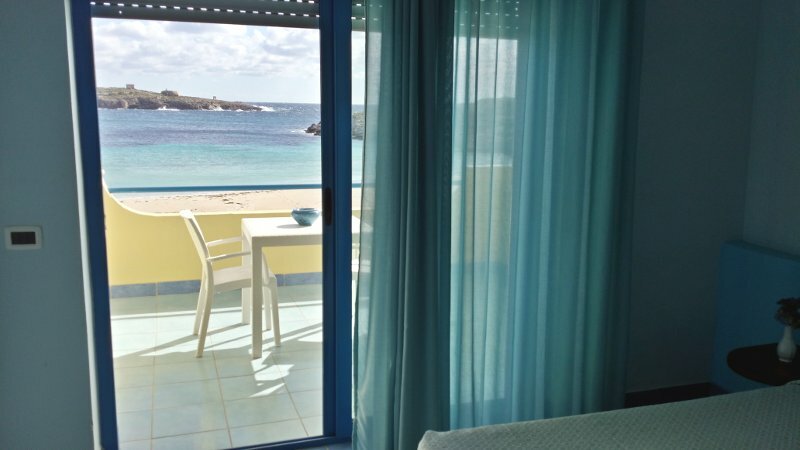 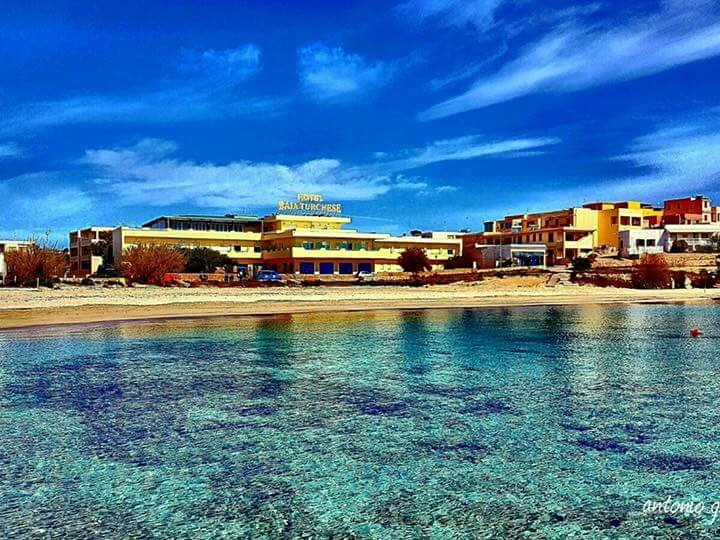 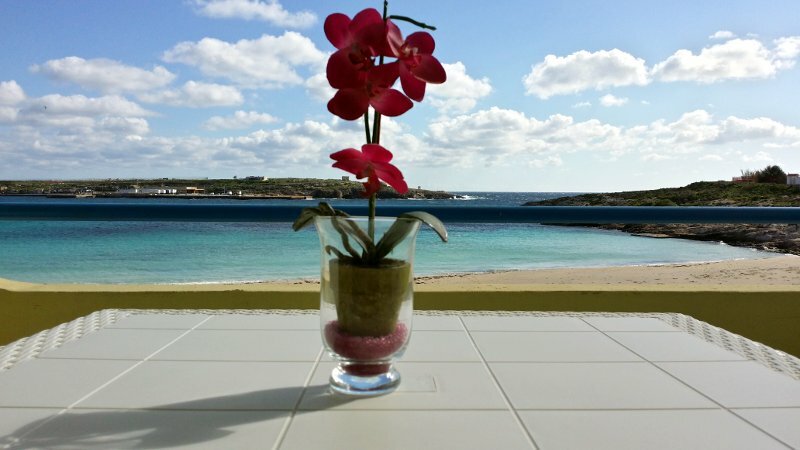 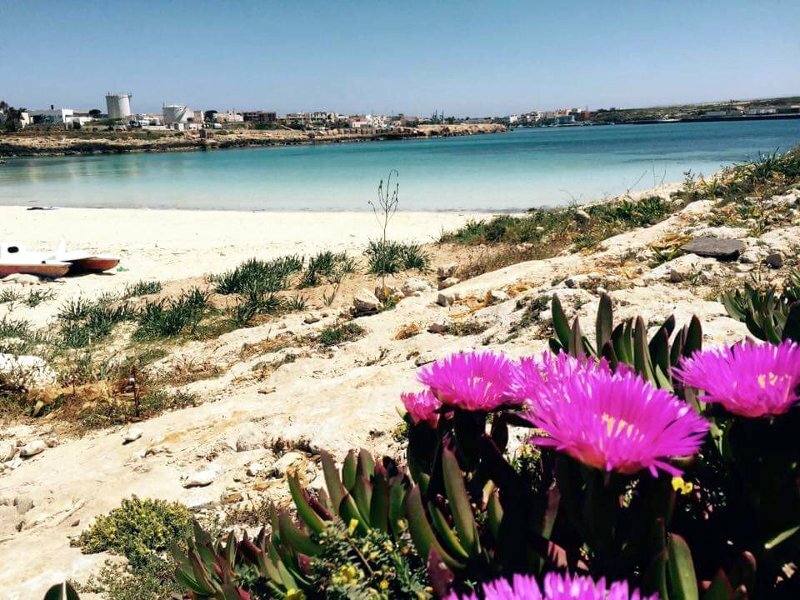 Situated on the southern side of Lampedusa, the Hotel overlooks one of the largest and most well-known beaches on the island. 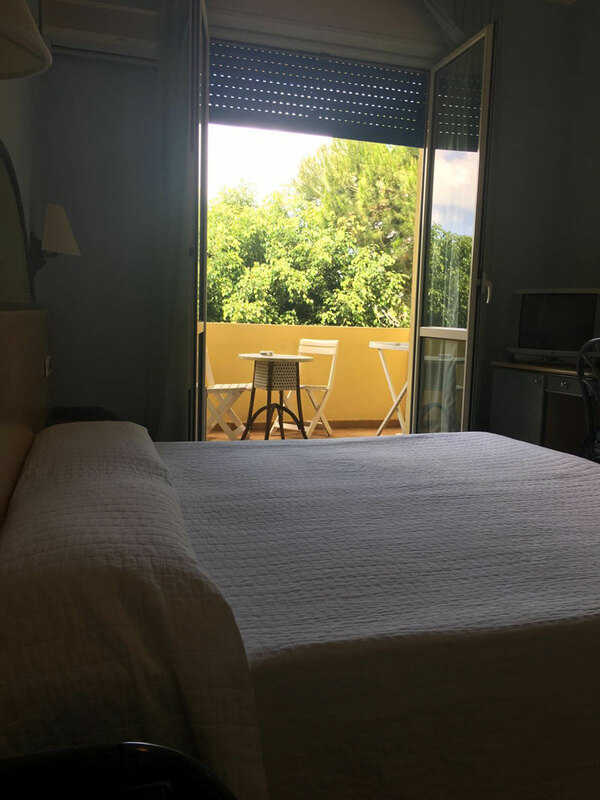 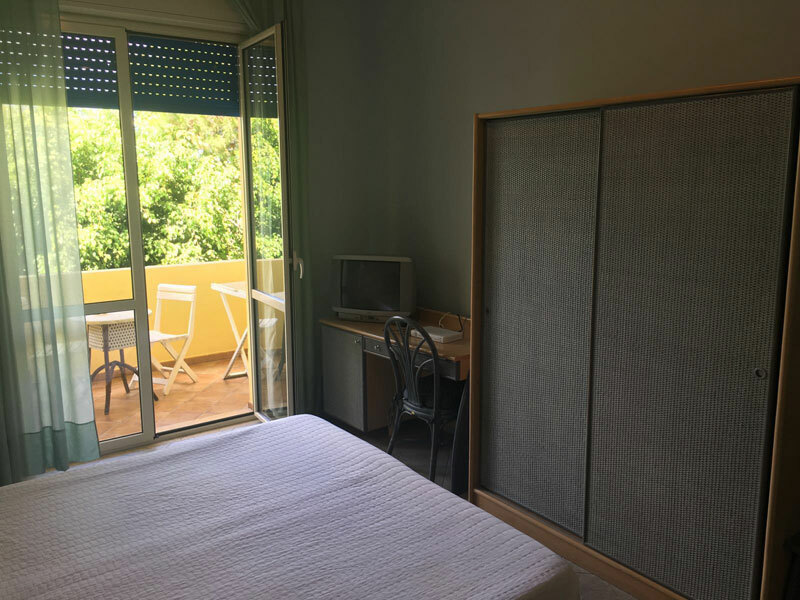 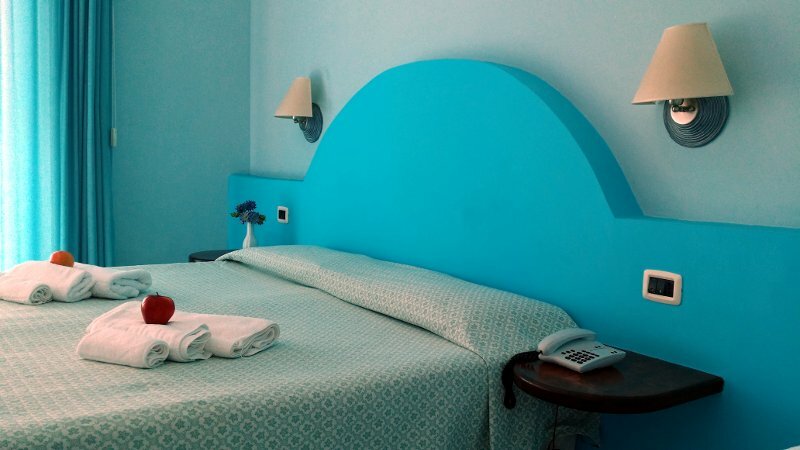 The Hotel is situated in a beautiful building that blends harmoniously with the beauty of the surrounding landscape, just 5 metres from the magical and sheltered Guitgia Beach. 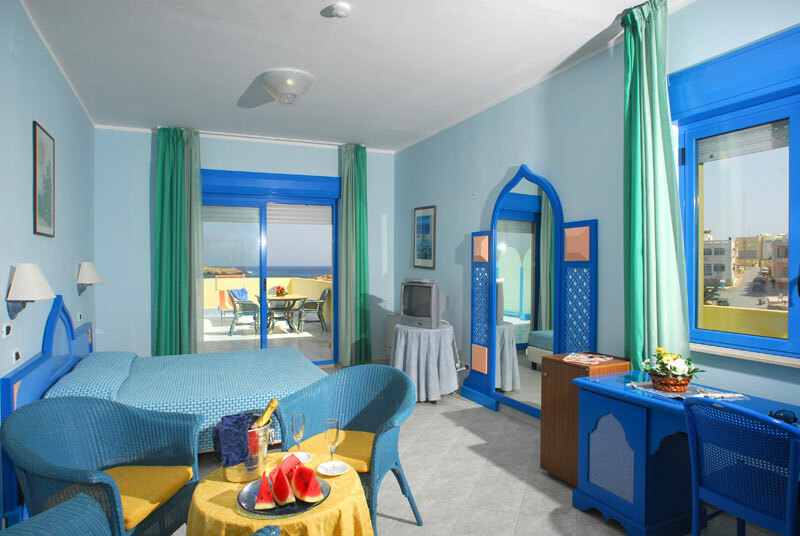 Pearl of the southern coast of the island, the hotel’s "Da Tommasino Restaurant" has a beautiful terrace with an incredible sea view. 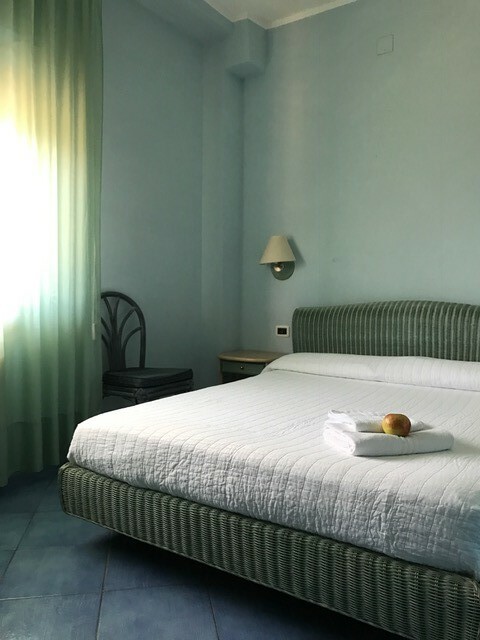 As well as serving a hearty breakfast with an abundance of typical Sicilian pastries and fresh fruit, the restaurant also offers its customers delicious local cuisine, rich in fish and healthy foods. 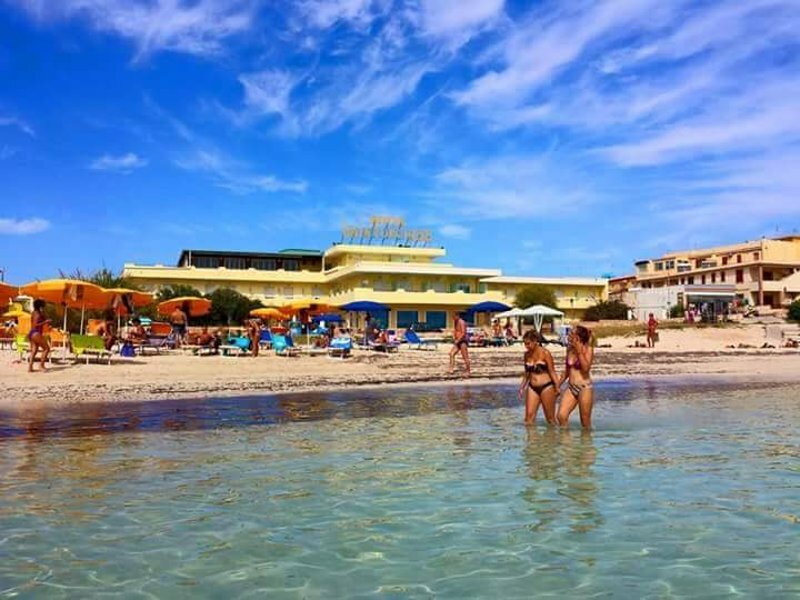 Its privileged position means that you can enjoy the sea right up until sunset, swimming until the very last minute or sipping a last drink on the water’s edge. 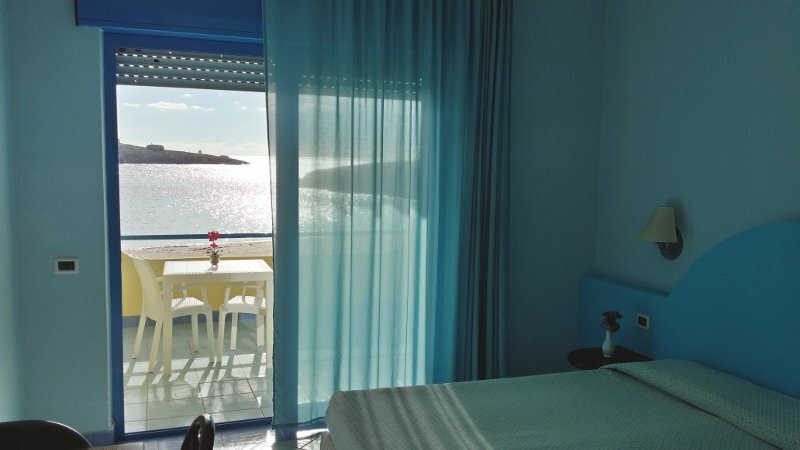 At dawn you will be woken by the intoxicating and unmistakable smell of the sea, and at night the light of the full moon reflected on the water in the bay will gently lull you to sleep. 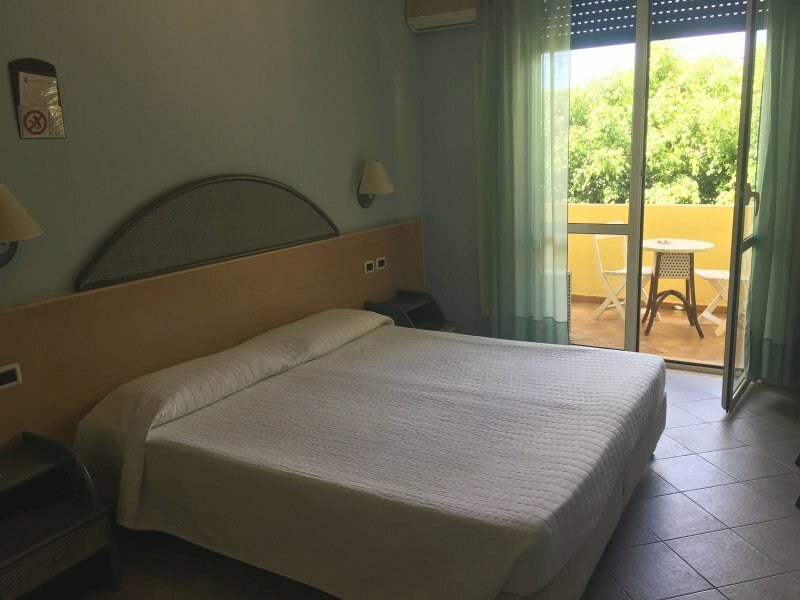 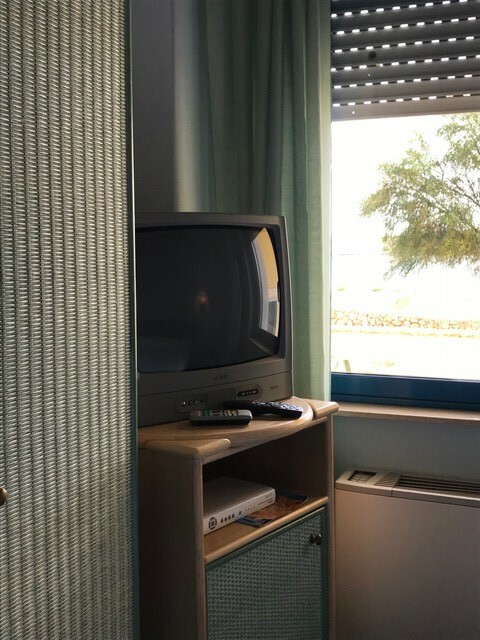 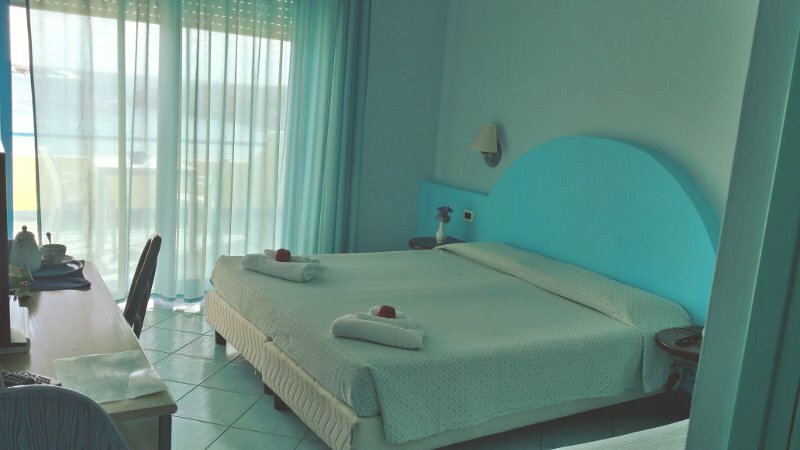 The Hotel Baia Turchese is a 4 star establishment: the rooms, restaurant, location and friendly and professional staff all guarantee an unforgettable holiday by the sea. 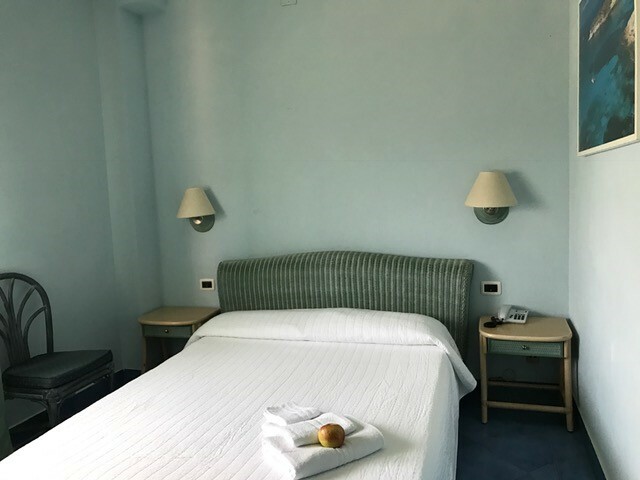 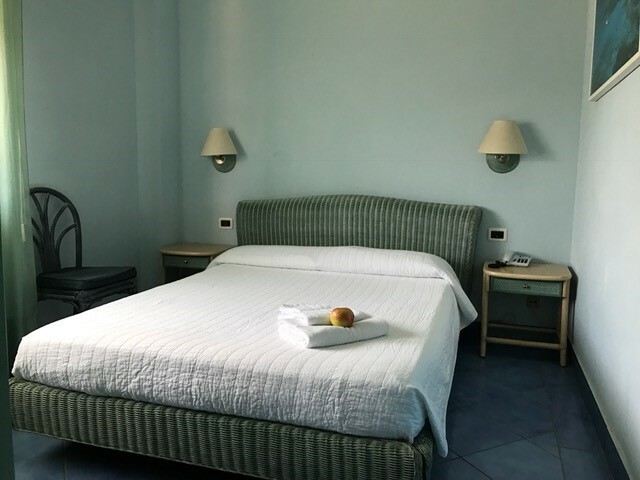 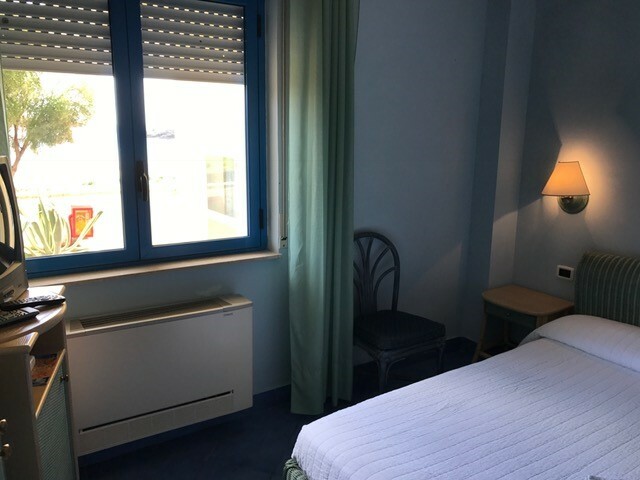 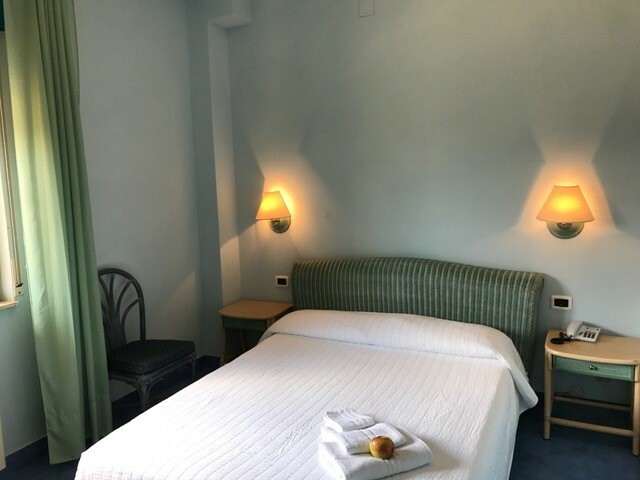 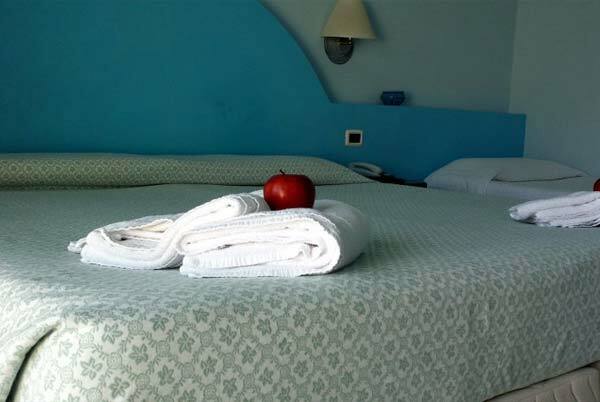 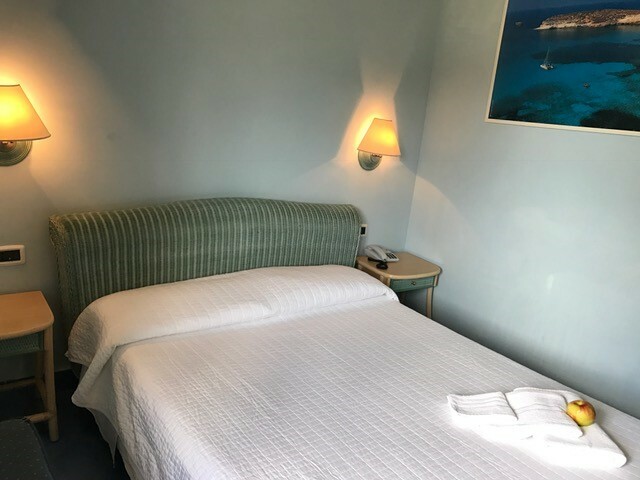 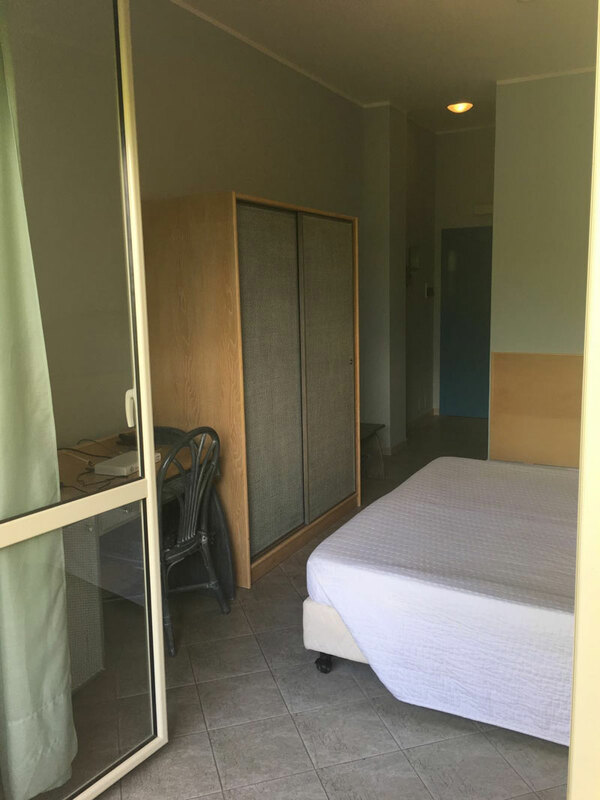 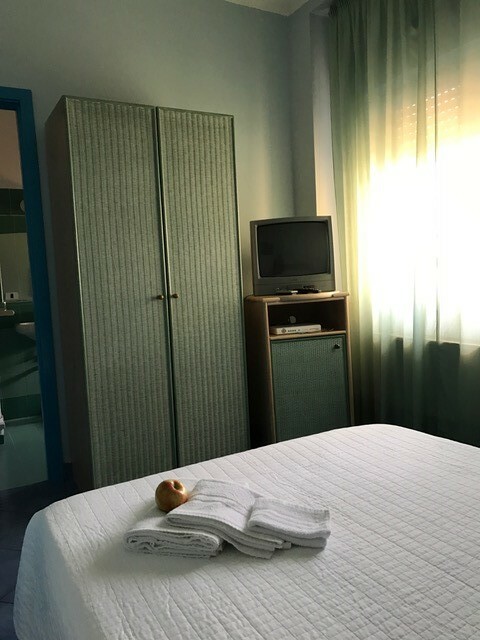 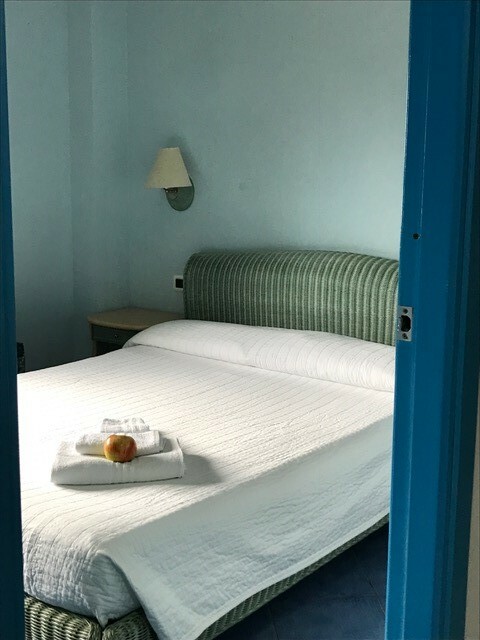 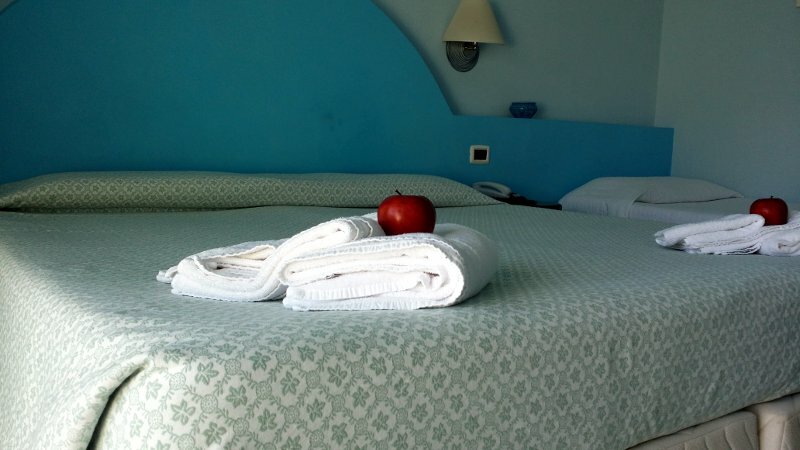 All of the rooms have been carefully designed and furnished with simple and elegant taste, in perfect harmony with the landscape of one of the top tourism destinations in Italy. 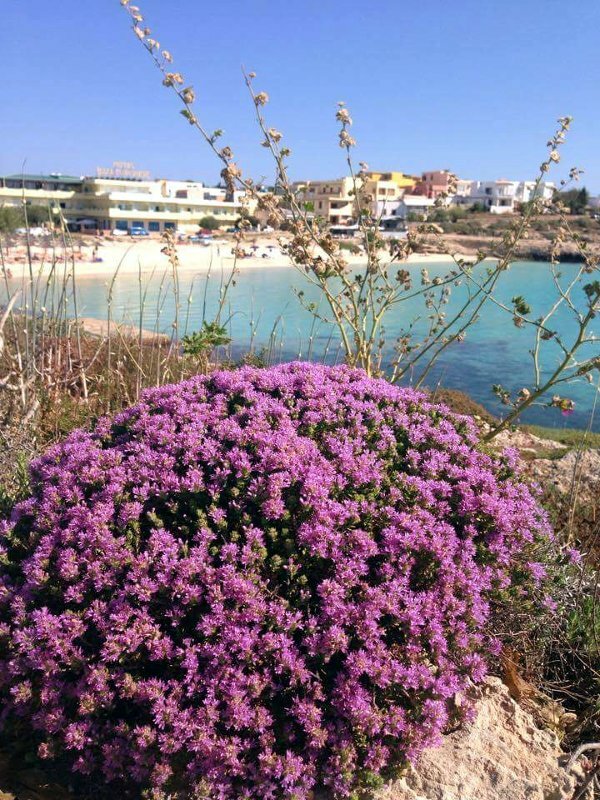 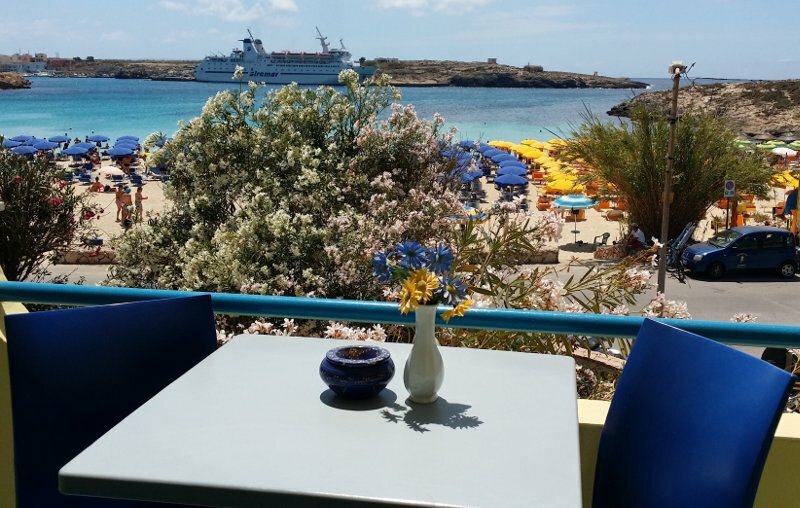 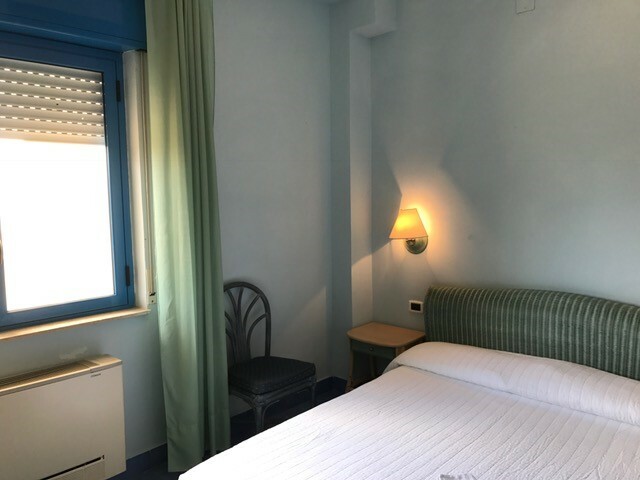 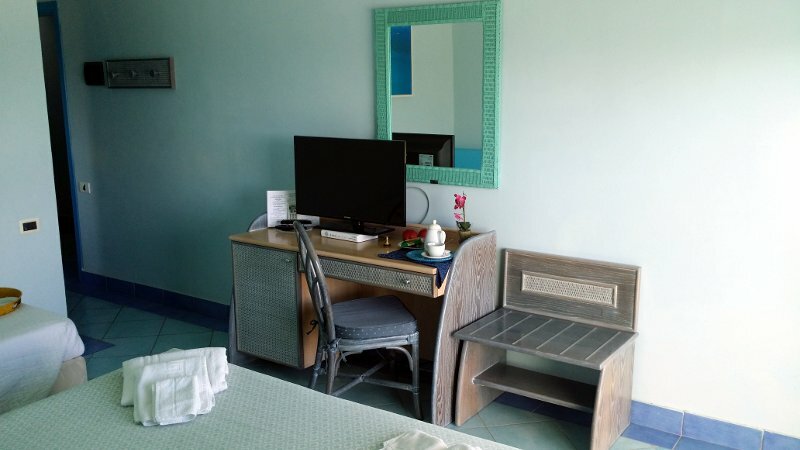 The Hotel Baia Turchese in Lampedusa is synonymous with comfort, offering free Wi-Fi throughout the hotel and a wide range services. 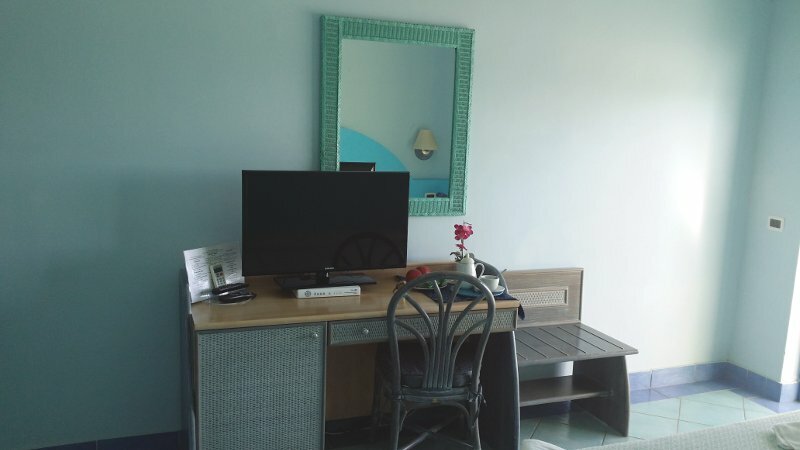 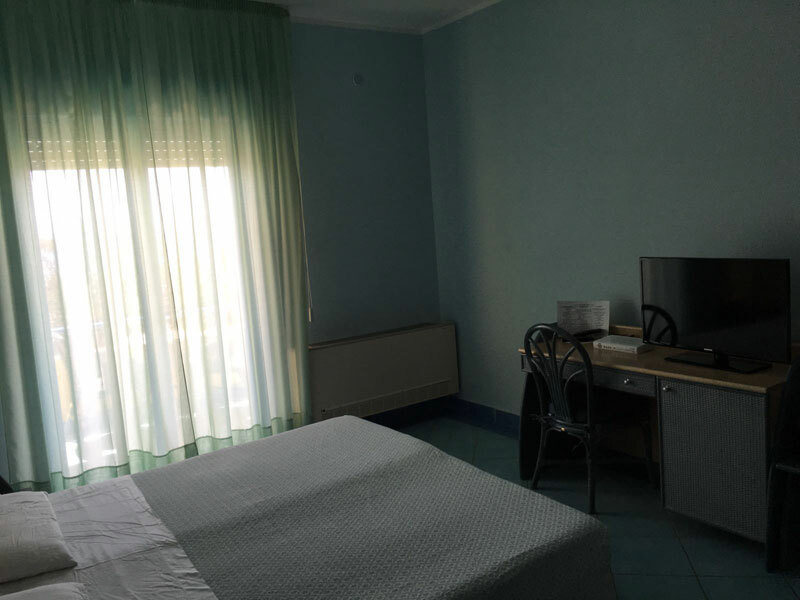 The Economy rooms, either single or double, are on the raised ground floor of the hotel. 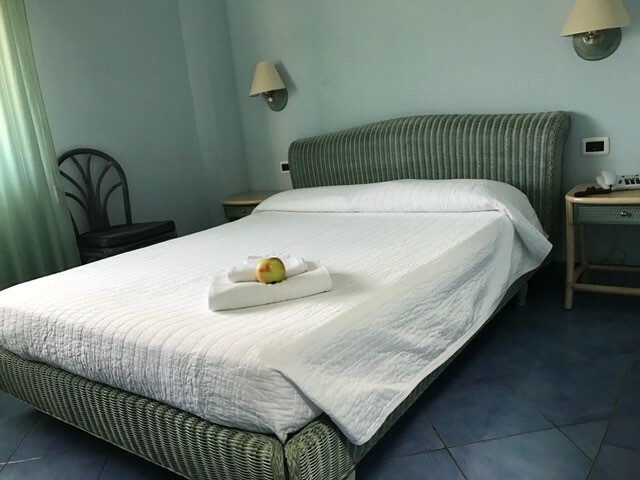 Small, yet comfortable, with a 3/4 double bed. 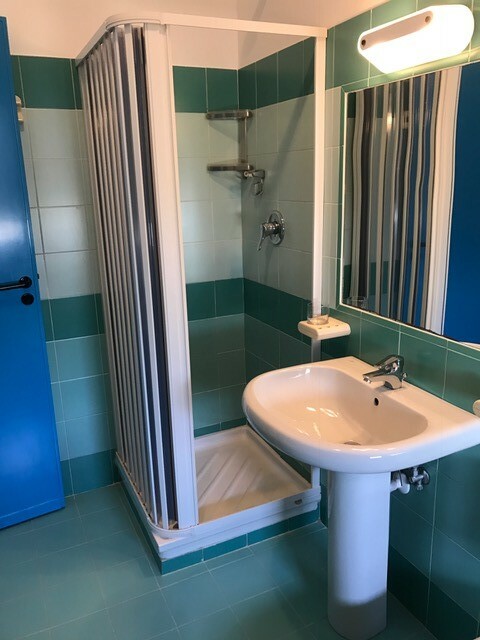 Perfect for those who spend little time in the room, but need enough space and a bathroom. 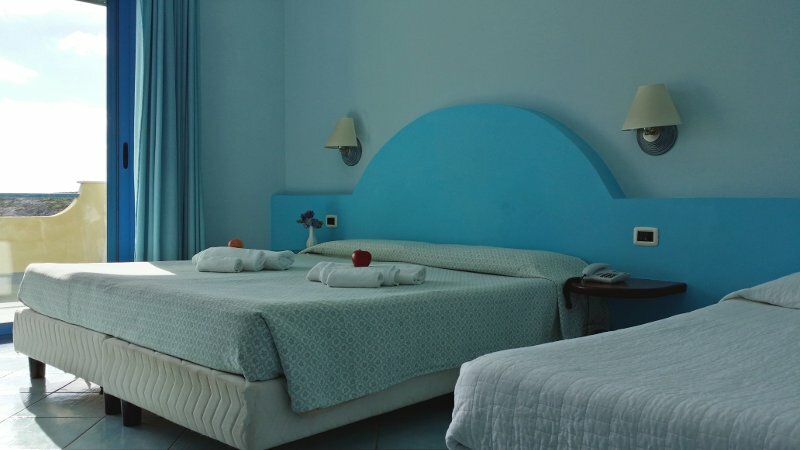 The Comfort rooms, double, triple and quadruple, are on the raised ground floor and first floor of the Hotel. 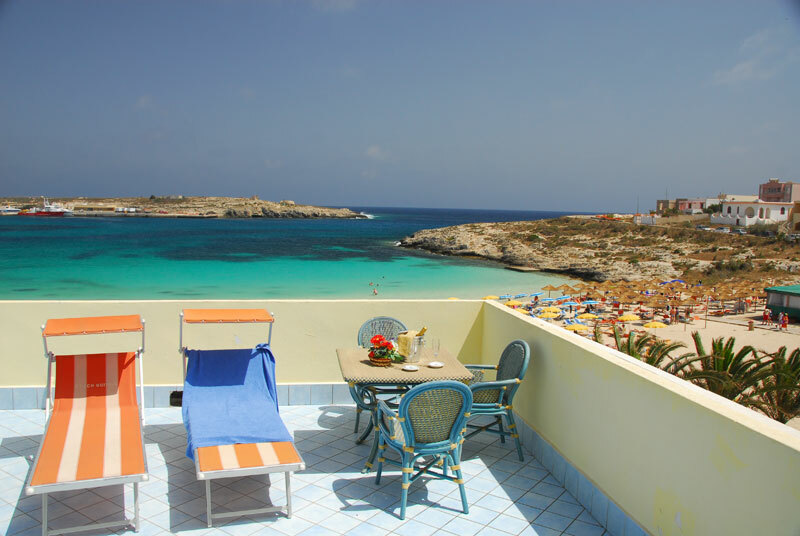 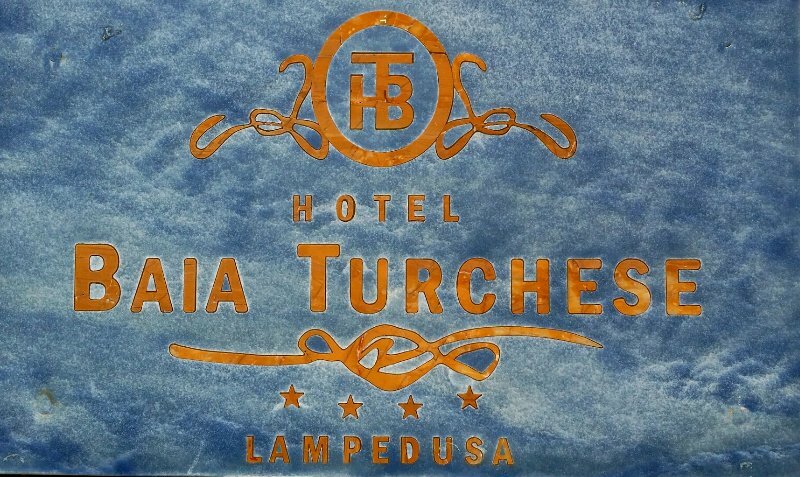 Ideal for visiting Lampedusa with family or friends. 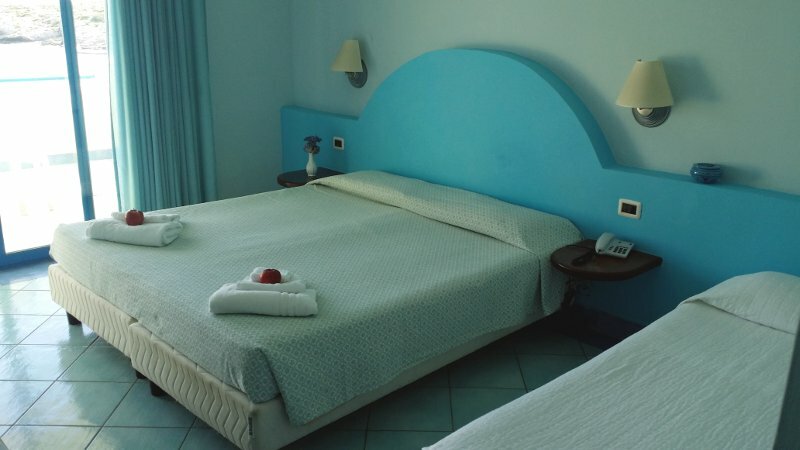 The Superior rooms, double, triple and quadruple, are all on the first floor. 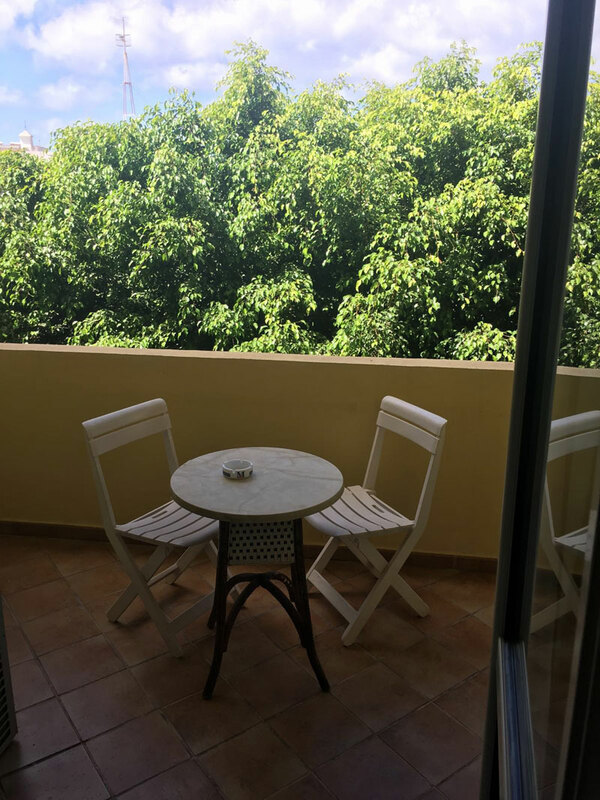 Light and spacious with a terrace, furnished with a table and comfortable chairs so that you can sit back with your aperitif and watch the sunset over the sea. 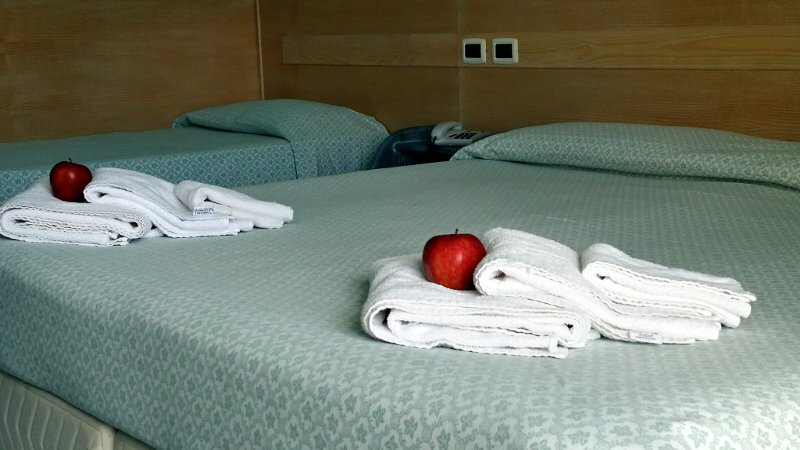 Le camere De Lux sono doppie, triple e quadruple ubicate al piano attico. 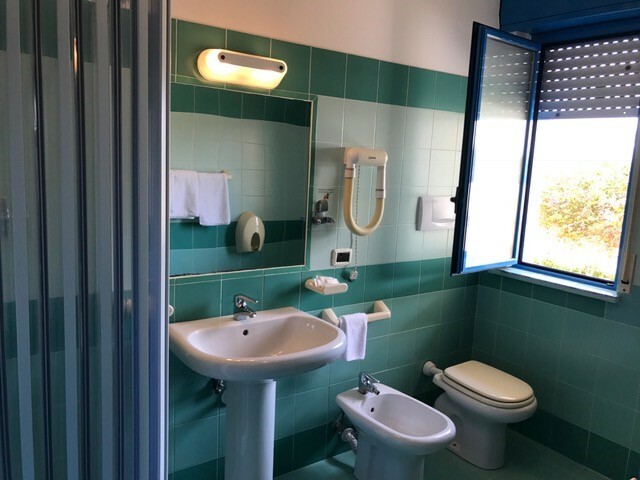 Un ambiente unico curato in ogni dettaglio. 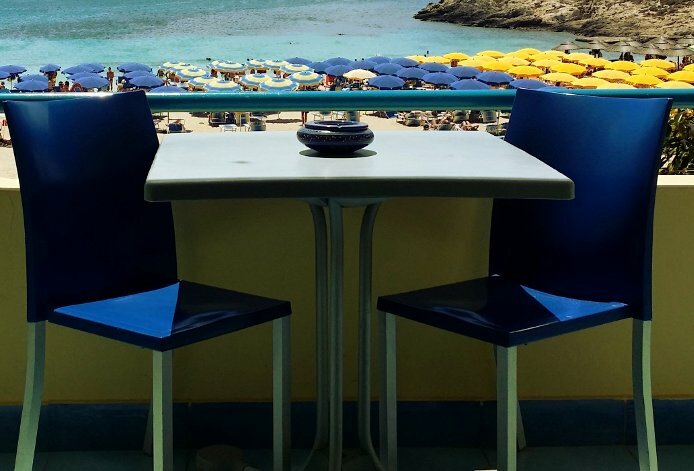 Un grande terrazzo attrezzato di tavolo e comode sedute vi permetterà di ammirare la meravigliosa spiaggia della Guitgia, sorseggiando magari uno dei nostri rinfrescanti long drink.